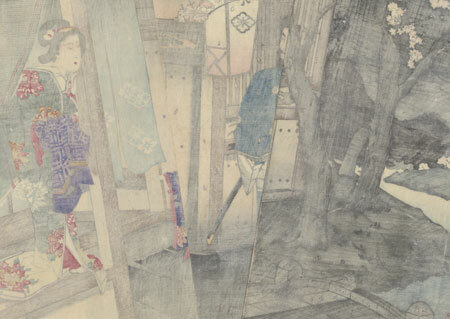 Comments - Interesting scene of a samurai leaving a beauty, staring at her with a stern frown as she leans against a wooden post, holding the fine reed blind to the side. 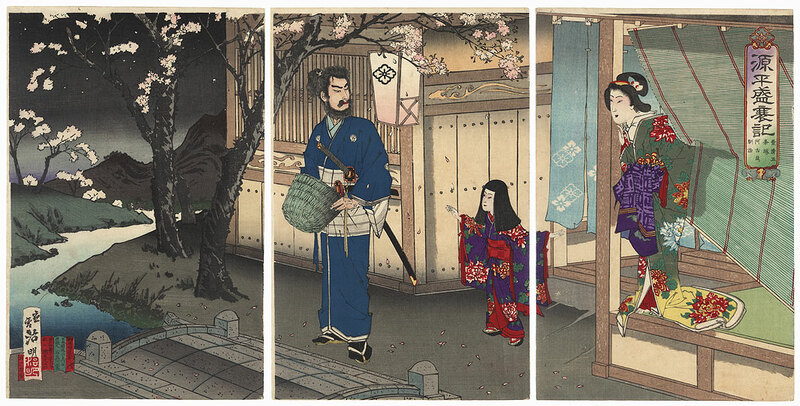 The courtesan smiles sweetly, and her young attendant waves goodbye to the fellow. He carries a deep woven basket hat like those worn by kamuso or wandering Buddhist monks. Blossoming cherry trees frame the night along a winding stream, with delicate pink petals drifting down over the narrow arched stone bridge and the ground. 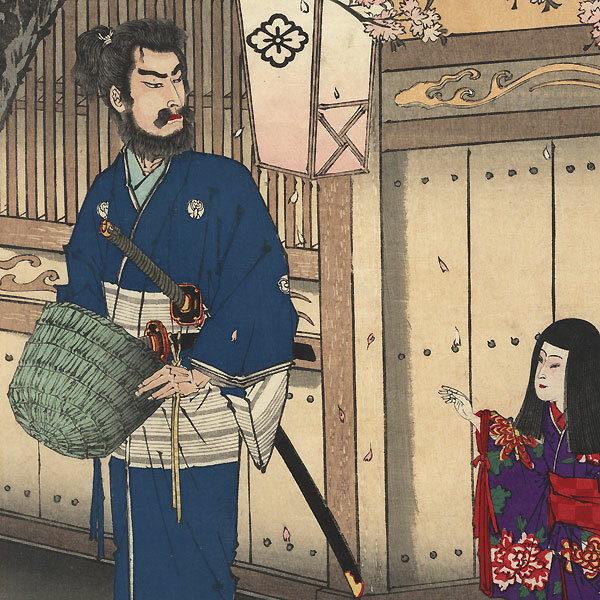 An intriguing image from "Genpei Seisuiki" (The Rise and Fall of the Minamoto and Taira), a 48-book tale of the rival clans during the Gempei Wars, based on the "Heike Monogatari." A handsome design with a nicely detailed setting and expressive figures. Condition - This print with excellent color and detail as shown. Three separate panels. Slight soiling, a few light creases. Please see photos for details. Good overall.